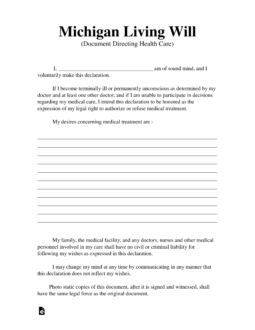 The Michigan living will, or legally known as the ‘Document Directing Health Care’, is a legal document that is completely written or dictated by the Declarant in their own words with their own meanings. 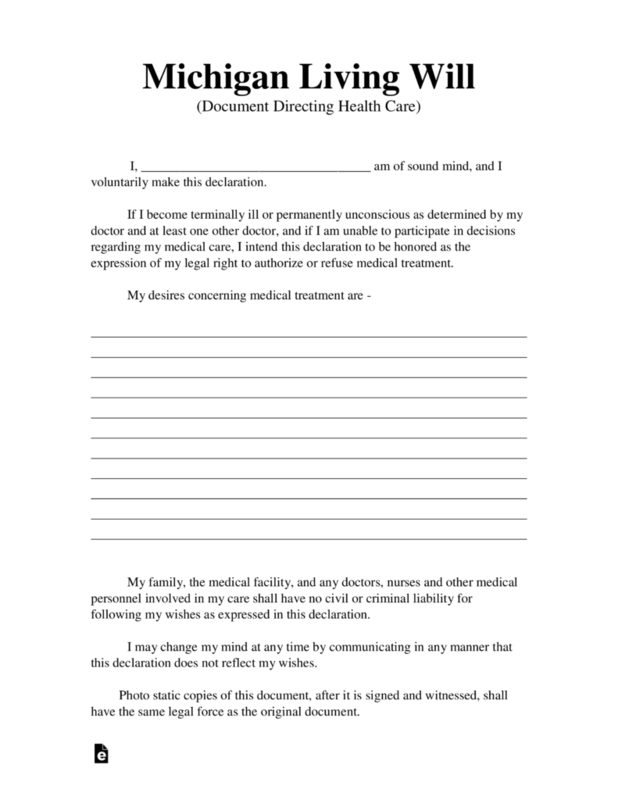 This document will be expected, by the Declarant, to be followed by any and all who are involved in the end of life medical choices of the Declarant. This form will require witnesses and “DNR’s” are included. Medical Power of Attorney – Use in addition to the living will to select a surrogate that is able to make decisions on behalf of the patient.